New Kingdom, 18th Dynasty, c. 1340 B.C. From his tomb in Thebes. 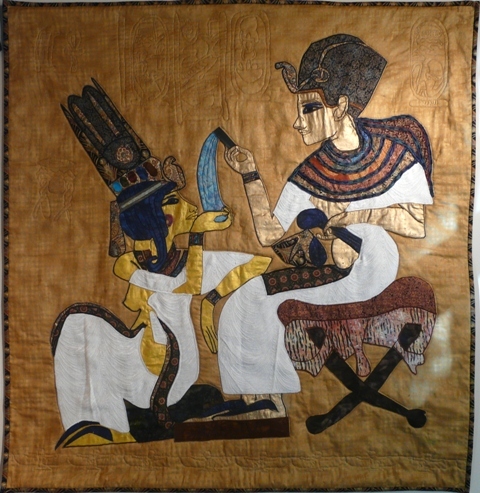 This entry was posted in Art, Fiber Art and tagged AncientEgypt, Art, Fiber, Fiber Art, Gifts, Pharaoh, Quilts, Spirituality in Art, Stephanie Nead, Stephanie's Creations, Textiles. Bookmark the permalink.